The French Alps are savage and exciting. 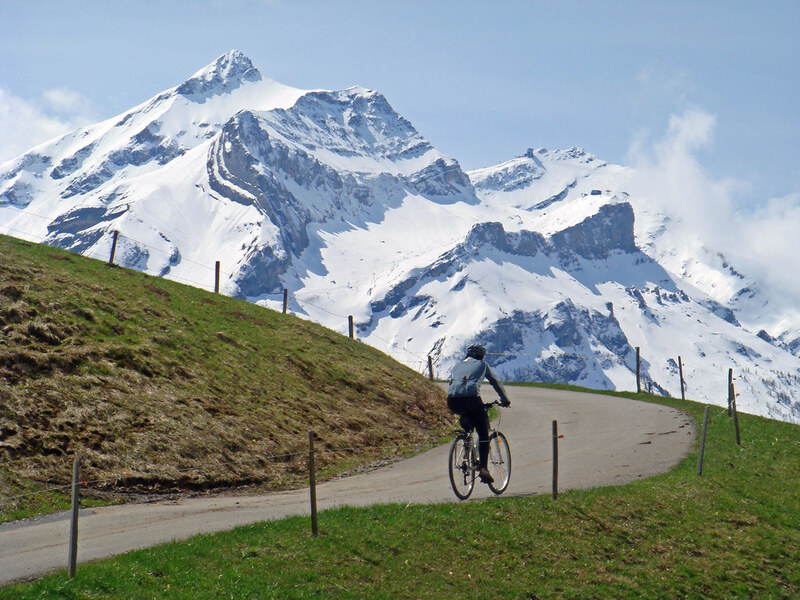 But the Swiss Alps always seem picture-postcard beautiful. Doreen and I are starting the Swiss long weekend in Gstaad, the posh Swiss ski-resort. 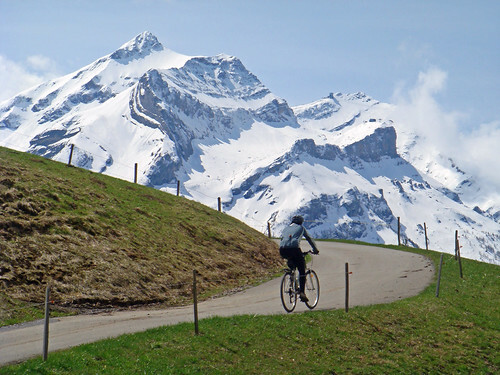 It’s a cross-roads of endless beautiful cycling routes including Route 5 and Route 9 of the Swiss National Network. 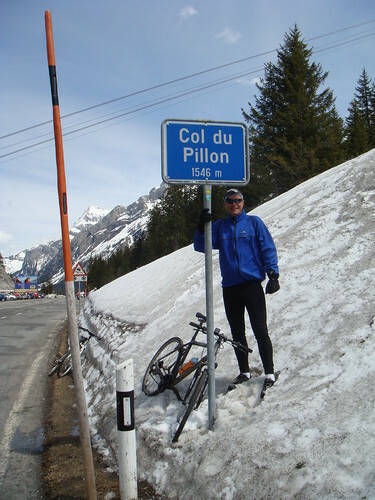 The goal today was a leisurely ride from Gstaad up the Col du Pillon. Instead of the direct way there is a signed touring bike route along beautiful little quiet roads until the start of the climb. It is truly stunning cycling. The photo below is before the start of Col du Pillon on a tiny and hilly side road. 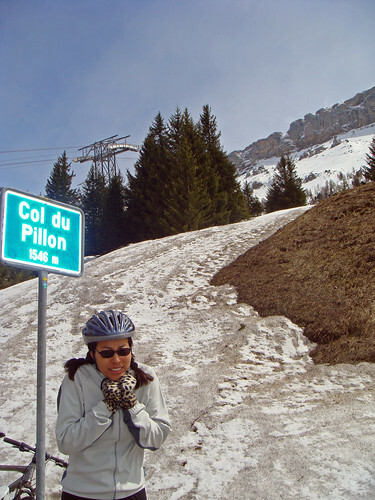 Col du Pillon (1,546 metres; about 5,000 feet) is not a hard climb, but I always seem to struggle a bit up it. At the top is a cable car to skiing above 3000 metres (+10,000 feet) and there were still a few skiers around. 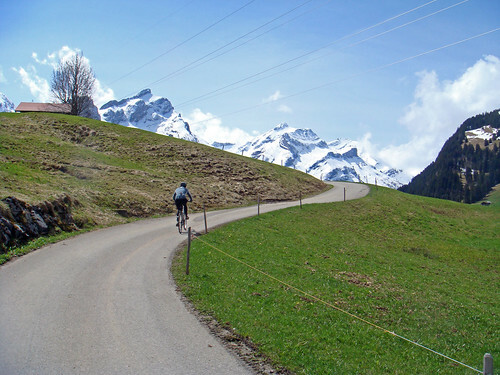 For a great fairly challenging road bike loop through this beautiful section of the Alps see this link here. 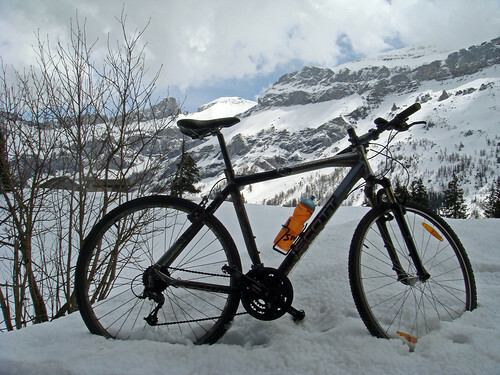 About 65 kilometres including Col du Pillon and Col des Mosses. While I waited for Doreen, I found a tiny little hiking road on the right as you exit the Col towards Les Diablerets. This steep but well surfaced path leads to a little alpine lake Retaud at 1700 metres. It looks like the path might continue but I ran into steep snow and turned back. 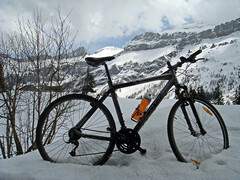 We had a nice lunch at the Col and a leisurely descent back to Gstaad. That’s beautiful scenery. 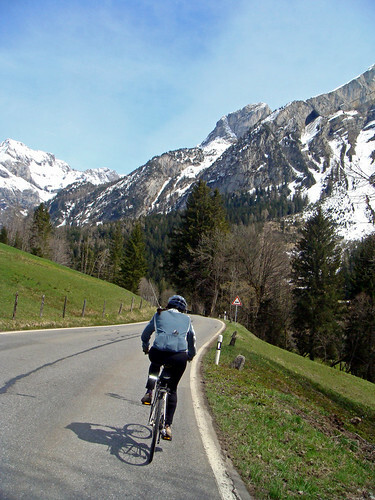 It must inspire you on those climbs. This is really your piece of cake. Fantastic. But the congratulations go to Doreen. Another +1500m col! PS : Careful Will, your saddle is sliding back again. Wow looks like a great ride. Thanks for sharing the photos.